Paco Díaz (Palma de Mallorca, Spain) on 21 January 2009 in Art & Design. There's something you don't see everyday:-) A most intriguing capture and what a beautiful sea it is. Very nice with the sea in the background. I am glad to see the close ups of these interesting sculptures. Signs and Sins in the sky, wow what an image! This is such a wonderful place for those sculptures. These sculptures are simply amazing! Beautiful framing and lovely mood! Peculiar shapes. Are that sculptures? Fine capture. Estas esculturas són fantásticas. Tal como decía ayer, perecén mismo que van a peinar el viento! 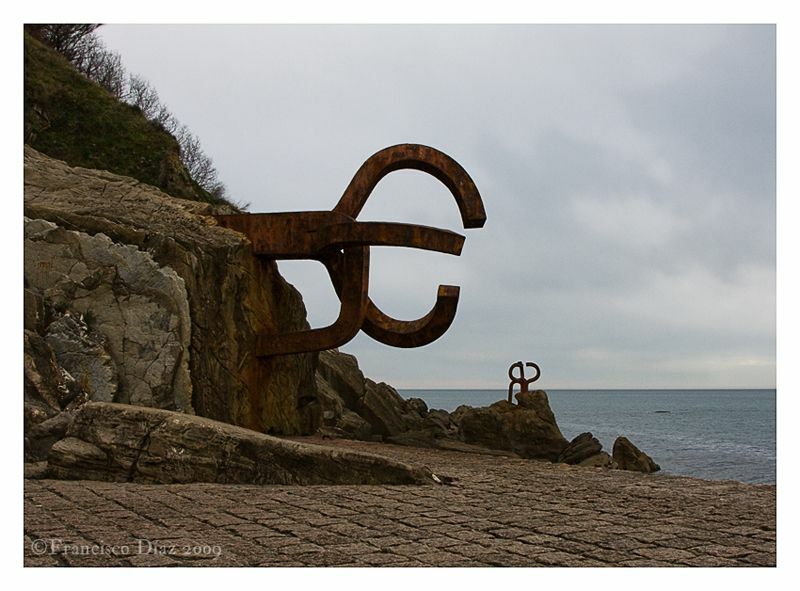 Paco, this looks like a big Euro sign :) on the otherhand maybe it is old Alien machine ? Very engaging. I'm enjoying this series, Paco. just marvelous -- they would make a lovely triptych, framed and hung!!! They look like giant pincers coming out to grab someone. What an unusual artwork. What a great composition! Very cool sculptures that really do seem to be part off the rocks.